Manchester United goalkeeper David de Gea demands better from his team-mates after a scrappy 2-1 win against West Ham. Ole Gunnar Solskjaer’s side ended a run of back-to-back defeats on Saturday in somewhat unspectacular fashion by beating West Ham at Old Trafford. Although it was far from United’s finest performance, with De Gea coming to the rescue in brilliantly saving Michail Antonio’s 77th-minute header to deny the hosts an unexpected defeat. Paul Pogba struck twice from the spot to give United all three points and keep their top-four hopes strong. For De Gea, though, this display was simply unacceptable and cannot be repeated at Camp Nou on Tuesday night. United will head over to Barcelona this week needing to overcome a 1-0 aggregate deficit in the return leg of their Champions League quarter-final tie after losing the opening fixture at home last Wednesday. 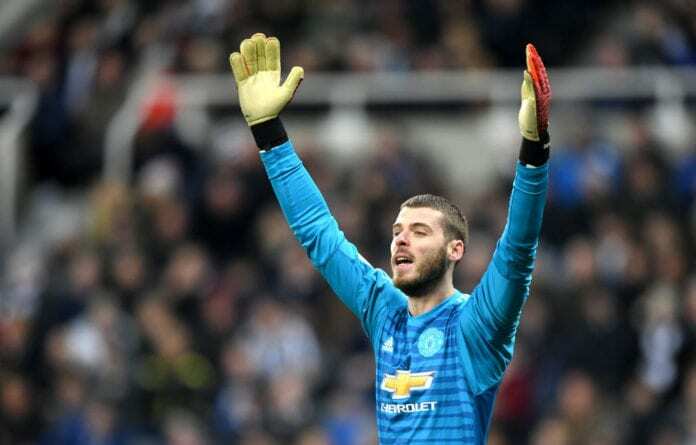 “Of course it’s difficult, but if you want to be a top team you have to play big Champions League games, and the weekend after it’s the Premier League,” said De Gea, according to Daily Mirror. “So you have to be focused and ready for a difficult game again. I think today we didn’t play well, we have to improve a lot and now we have a big challenge on Tuesday. 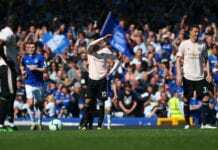 Manchester United was humiliated 4-0 by Everton in today's English Premier League fixture, and the midfielder says his team lacks leadership. “We will try to fight and win the game. We can go with more confidence after the three points. “It’s a big challenge, a special occasion, in Spain, against Barcelona, a Champions League night, so it’s going to be an amazing game. On the Red Devils’ top-four hopes, De Gea said: “It’s nothing to the end now, just five games, a difficult schedule, difficult games. 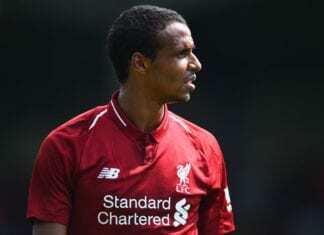 It’s not often that someone in Liverpool’s defence has outshone Virgil van Dijk this season, but Joel Matip certainly did that in the win over Cardiff City.